Echo & the Bunnymen have announced that their upcoming album, The Stars, The Oceans and The Moon, is done and has been delivered to the record company. According to this statement, there are two new songs on the album, "The Somnambulist" and "How Far? 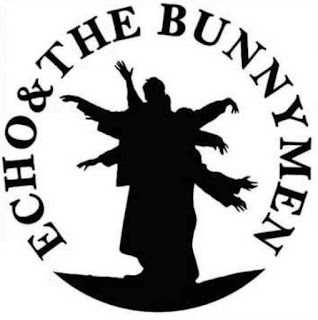 ", along with new versions of classic Bunnymen tracks that have been reimagined with strings. This will be the band's thirteenth album and the followup to their 2014 set Meteorites. Hi everyone, Peasy here; the new Bunnymen album ‘The Stars, The Oceans and the Moon’ is finished and has been delivered to our new record label BMG. I’ve been playing it all day and it’s sounding incredible, I’m totally blown away. The new songs ‘The Somnambulist’ & ‘How Far?’ sound fantastic with amazing lyrics and killer guitar. I can’t wait for you to hear them. The classic Bunnymen tracks reimagined with strings and things are mind blowing; songs that I’ve lived with for most of my life have taken on a whole new meaning to me, sounding as beautiful as ever before, these versions really will make you sit up and listen over and over again. Anyway, I’m off to have another listen, keep you posted when it’s coming out..